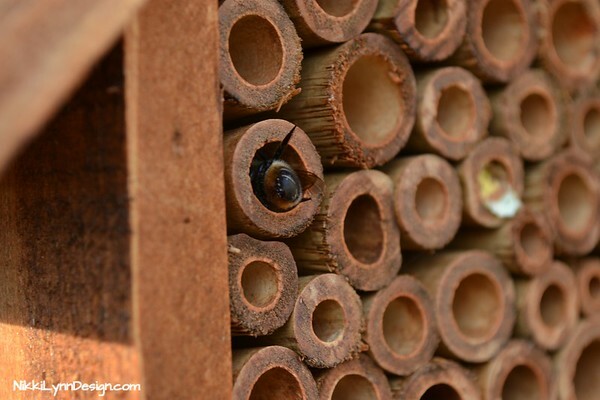 If you would like to read more about the lifecycle and job of the Mason bee, read my article HERE. 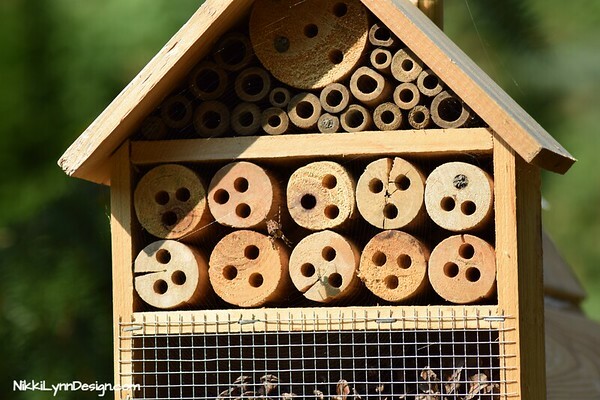 You can build your own Mason bee homes buy providing tubular cavities and/or by using a 5/16″ diameter drill bit to drill holes into natural or untreated wood for the bees. It can be as large or as small as you would like. Click on Picture to Buy Print. The house above was built in an A frame design using cedar and non-treated lumber. It uses natural wood that has been drilled (5/16″ diameter drill bit) to provide the cavities for homes. The second design pictured above, is a multi-purpose frame design. 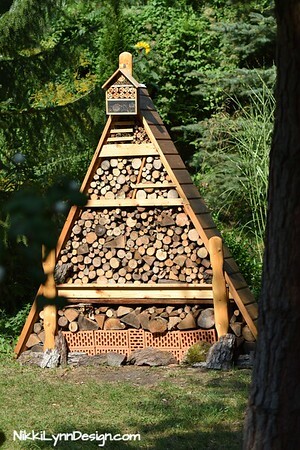 The top part is enclosed and holds replaceable tubes that are meant for nesting Mason bees. 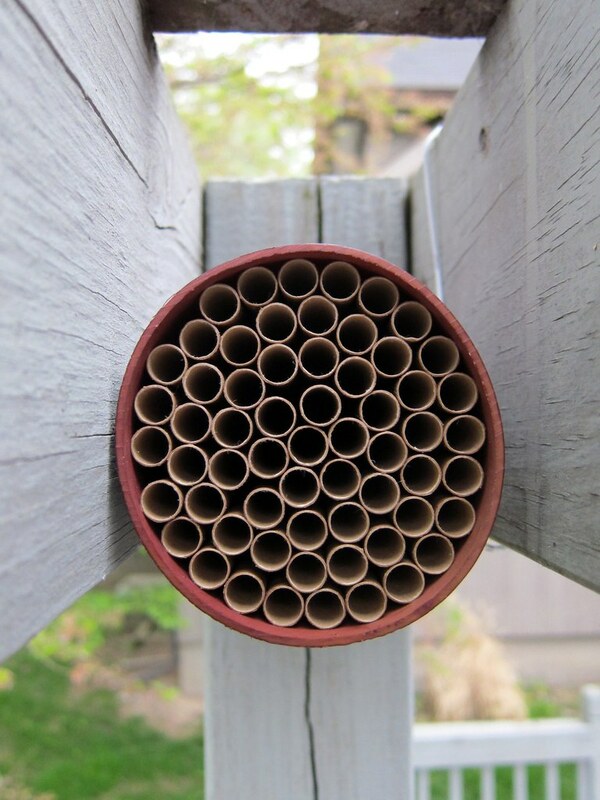 The holes that are drilled below the Mason bee tubes are meant to house ladybugs. The two sections are closed off from one another. The third design also uses the framing like above. Except this house doesn’t have the ladybug home below it. 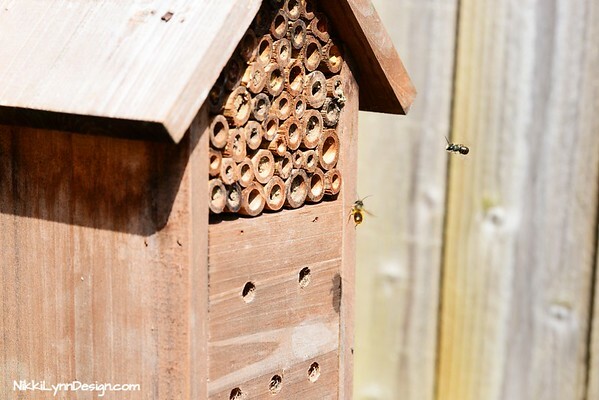 It fills the frame with two different choices for Mason bees. The bees have two choices. Either the round, wood pieces that have been drilled out or the tubes. See picture below for an additional view. Another idea for you. Can you tell I like choices? Use something round to hold your rods. Attach it snug to a pole. You can build wind and rain protection barriers. See the picture from John Hritz below. The Picture below belongs to him and is being shared by using a Creative Commons License. The last idea came from adapting an idea seen on Flickr by Joe Thomissen. The Picture below belongs to him and is being shared by using a Creative Commons License. 2.) Glue the boards together with Titebond II non toxic glue . Gluing the boards together will allow you to drill deeper holes and to drill across the grain. This provides a cleaner hole with less sanding involved. 3.) Using a 5/16″ diameter drill bit, drill holes about 5-1/2″ inches deep on 3/4 inch centers. 4.) Use a round file to clean out wood shavings and smooth the drilled holes. Having a clean, smooth hole is important. 5.) Attach the your new home and wait for visitors. Screw or bracket them under some sort of shelter from the rain and wind. Maybe on the side of a building that has a overhang? 1.) Search out with a location with early morning sun. 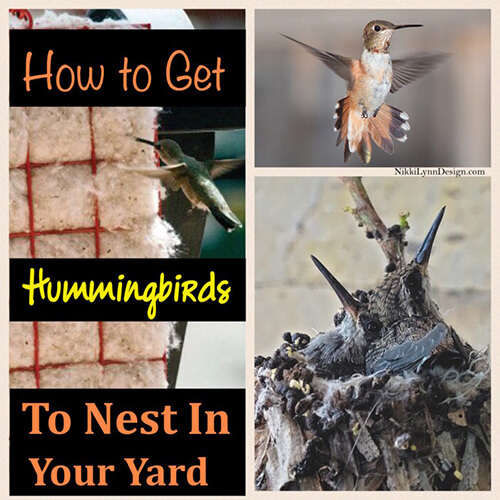 This warm the nest quicker and thus, females search for nesting locations that have early morning sun. 2.) 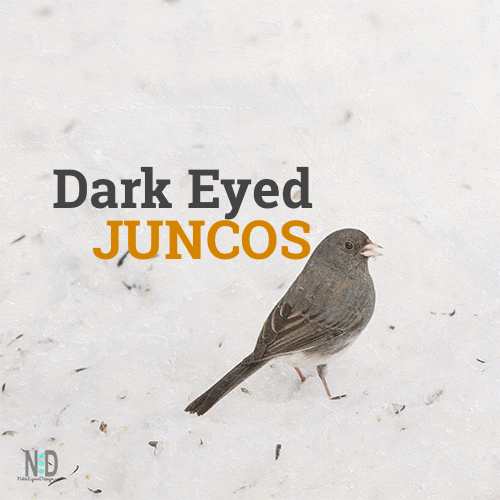 Protect the nest from the elements. If you want to attract a mother bee, you have to think like one. Momma wants to protect her young from the elements like wind and water. Providing a place under a building or overhang, out of the wind would be ideal. 3.) Ideally most Mason bee nesting site that I have came in contact with are 4 to 6 feet off the ground. That may be something to consider. If you don’t want to try your hand at building a home, buy one. What Other Bees Will Use the Same House? 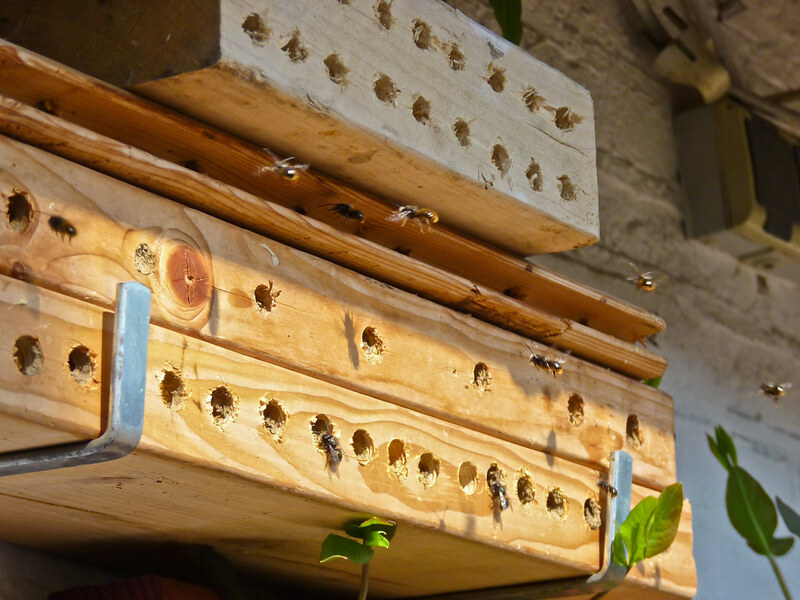 Leaf cutter bees. 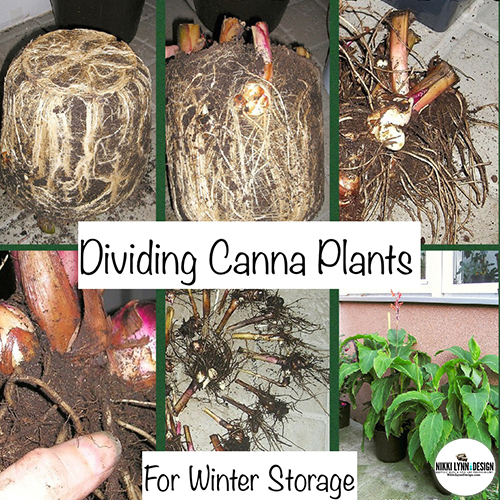 They are a little later in the season and your garden pollinators. 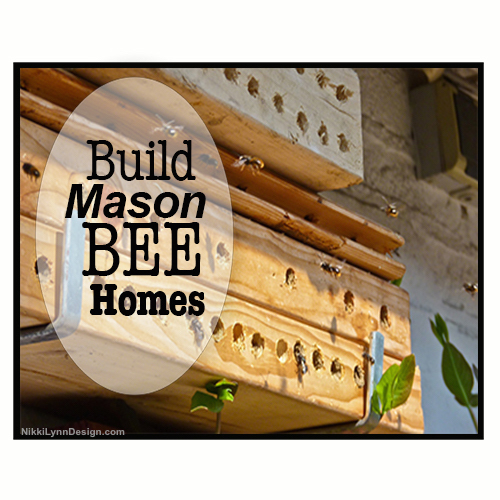 Hope this help you attract mason bees by building homes and gives you many choices to choose from.